Third Person Press is interested in promoting speculative fiction by writers from Cape Breton, or having a substantial connection to the island. We enjoy the challenges and rewards of working with both new and more established writers in bringing our readers one simple thing--great stories. At this time, we are not open to general submissions outside our stated submission calls and projects. However, if you would like more information about planned and upcoming projects, please email us! 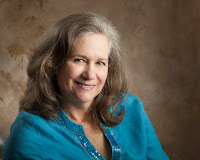 Sherry D. Ramsey is a speculative fiction writer, editor, publisher, creativity addict and self-confessed internet geek. When she's not writing, she makes jewelry, gardens, hones her creative procrastination skills on social media, and consumes far more coffee and chocolate than is likely good for her. Her debut novel, One's Aspect to the Sun, was published by Tyche Books in late 2013 and was awarded the Book Publishers of Alberta "Book of the Year" Award for Speculative Fiction. The sequel, Dark Beneath the Moon, is due out from Tyche in 2015. Her other books include To Unimagined Shores—Collected Stories, and an urban fantasy/mystery novel, The Murder Prophet. With her partners at Third Person Press she has co-edited five anthologies of regional short fiction to date. Her short fiction and poetry have appeared in numerous publications and anthologies in North America and beyond. Every November she disappears into the strange realm of National Novel Writing Month and emerges gasping at the end, clutching something resembling a novel. 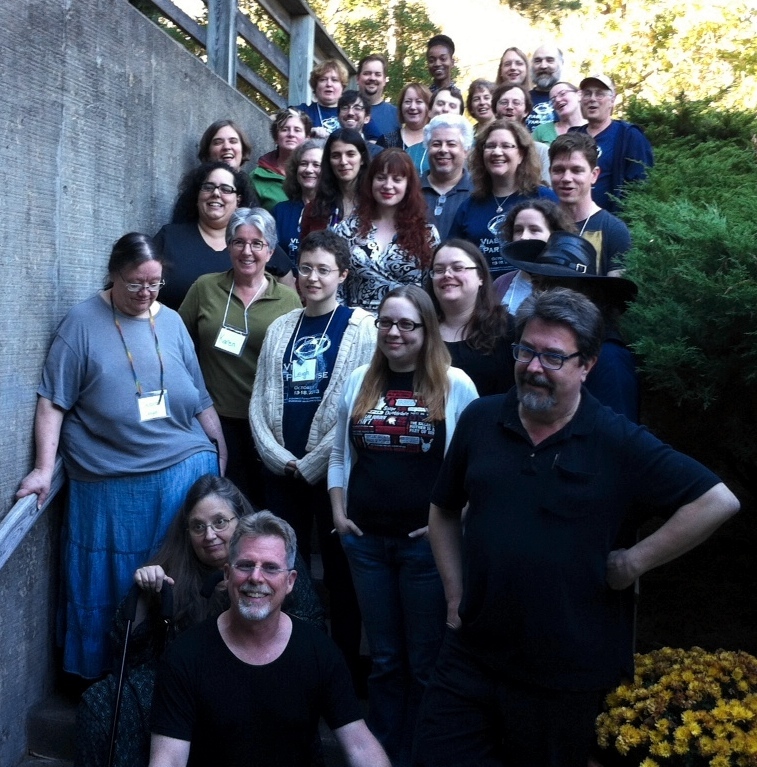 A member of the Writer’s Federation of Nova Scotia Writer’s Council, Sherry is also a past Vice-President and Secretary-Treasurer of SF Canada, Canada's national association for Speculative Fiction Professionals. You can visit Sherry online at www.sherrydramsey.com, find her on Facebook, and follow her on Twitter @sdramsey. Nancy S.M. Waldman grew up in Texas and has been migrating northward ever since. She now lives in Cape Breton, Nova Scotia, which is as far north as she wants to go. She and her husband Barry live in a brightly-painted, 100+ year-old house in the woods and are also lucky to have a house in the mountains of North Carolina. She travels often to spend time with her two sons, daughter-in-law, three amazing grandkids, step-children and the rest of her far-flung family. Nancy writes speculative and mainstream fiction. Her short stories have been published at Fantasy Scroll Magazine, AE-The Canadian Science Fiction Review and Perihelion SF Magazine and in the anthologies: Futuristica Volume 1 (Metasagas Press, 2016) and Lazarus Risen (Bundoran Press, 2016). Her story, "No Others Like Us", appears in Tesseracts Twenty from Edge Publishing in 2017. As well, her stories can be found it all the Third Person Press anthologies. Her mainstream fiction has appeared in print in The Nashwaak Review, The Men's Breakfast anthology (Breton Press, 2010) and online at Wild Violets Literary Magazine. She feels fortunate to have been on board for the founding of Third Person Press in 2008, which not only allows her to hang out with the cool girls, but also has given her the enriching experience of co-editing and publishing five fabulous volumes of fiction by regional authors. Nancy's a 2013 graduate (aka survivor) of the Viable Paradise SF&F Writing Workshop, which affords her a life-time membership in the awesome VPXVII writing tribe. She's a member of SF Canada and of the Codex forum for neo-pro speculative fiction writers. A former R.N., Nancy holds a Masters degree in Psychiatric Nursing. She enjoys art, quilting, photography, web design and cooking. She serves on the Board of EPIC, an award-winning educational charity founded by her husband Barry. Find out more at nancysmwaldman.com and @nuanc on Twitter. Her Amazon author page. Her Facebook author page. A long-time Associate Editor with The Scriptorium Webzine for Writers, Julie Serroul is now one-third of the editorial triumvirate that is Third Person Press. 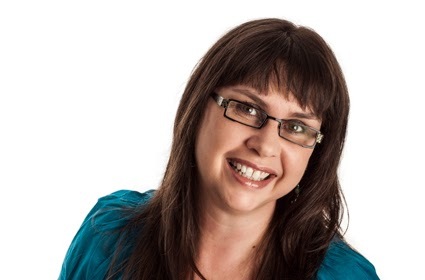 An insatiable appetite for writing workshops and the company of writers has prompted her to attend numerous workshops including the Rural Writes Workshops and the Write of Way Workshops. Julie has also offered her own workshops in fiction and poetry writing to both adults and children. Julie’s writing floats around a couple of subgenres in the realm of speculative fiction, hovering often in the supernatural or paranormal. Her short stories have appeared online at The Writer’s Head E-zine and The Practically Creative Quarter, and her non-fiction articles, including a series of workshop articles for young writers, have appeared in The Scriptorium Webzine. Her short story “Sanctuary” won second place in the annual Conestoga Short Fiction Competition, and “Emoters” appeared in Undercurrents. Recently, her story “Letters to Mom” appeared in a magazine of dark urban fantasy called Cover of Darkness, and she will also have a story in the upcoming Airborne. Julie lives with her husband, children and yellow lab in a log home overlooking the Brasd’Or Lake.